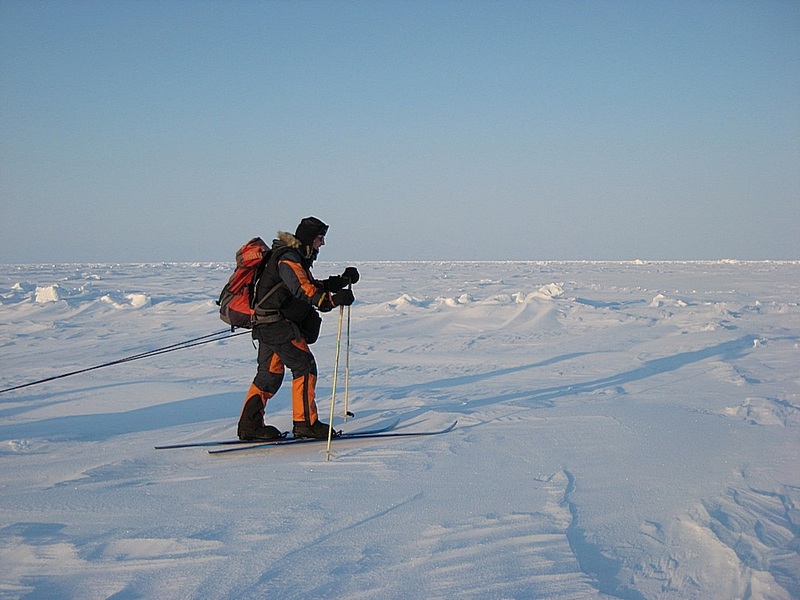 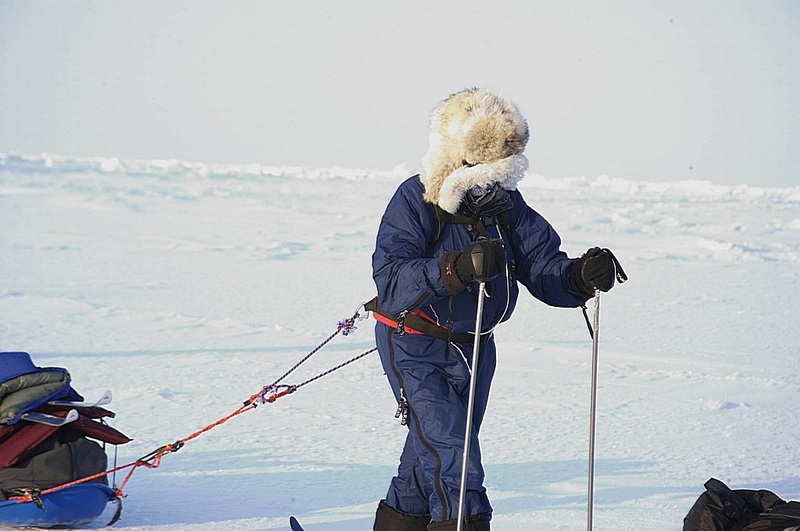 During the first 2 weeks of April 2008, I embarked upon an expedition to ski the last degree to the geographic North Pole, a distance of some 80 miles. 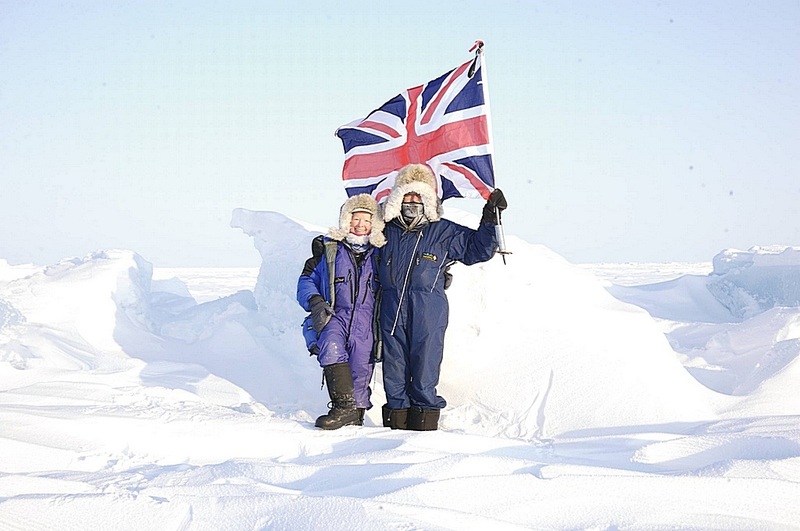 The team of 13 was led by Rune Gjeldnes and David Hempelman-Adams both of whom are world famous polar adventurers with extraordinary records of achievements in the world's most inhospitable places. 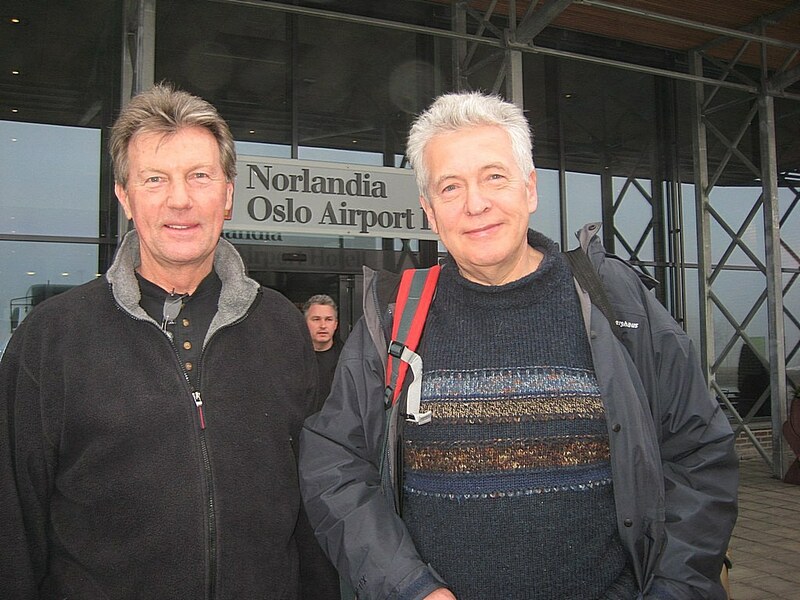 The adventure started with a flight to Oslo and then on to Longyearbyen on the Island of Svalbard, Spitzbergen. 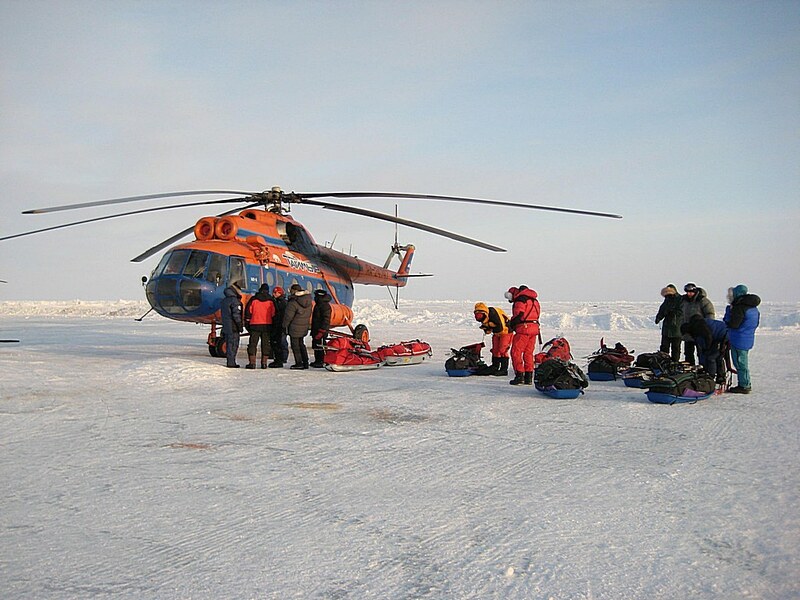 Here we stayed 2 days for some training and testing of ourselves and equipment. 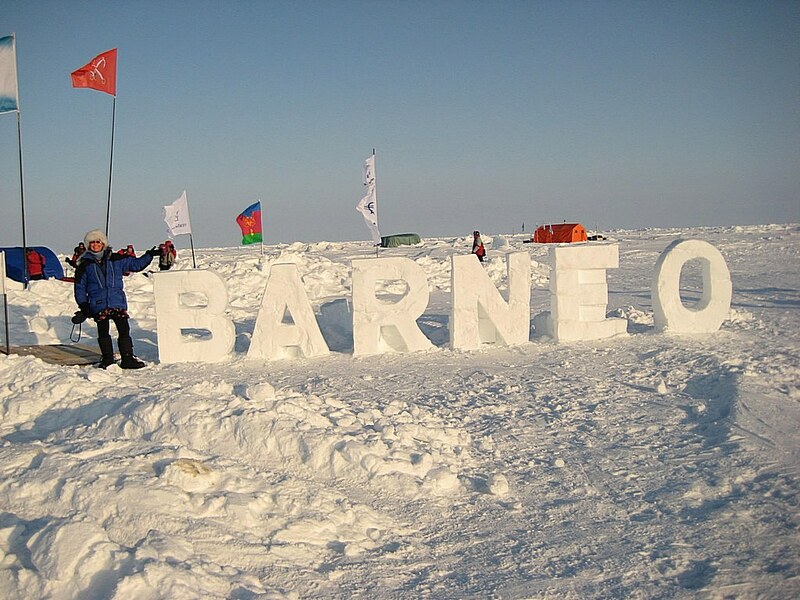 We then flew to Barneo. 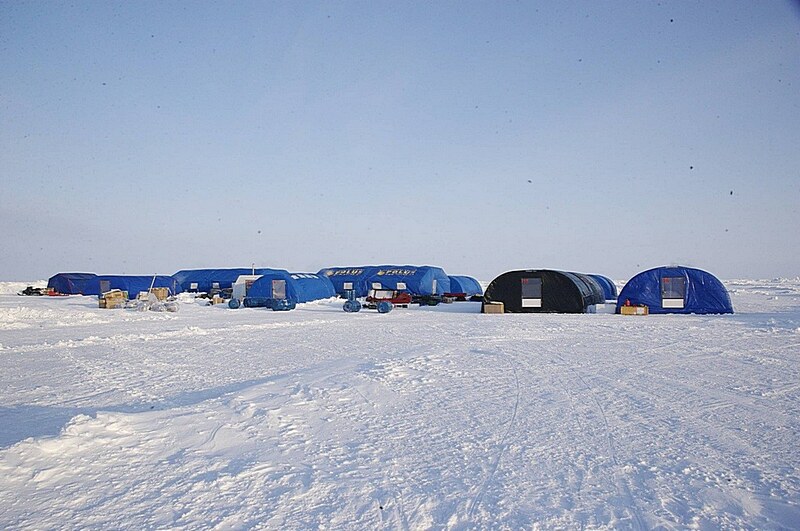 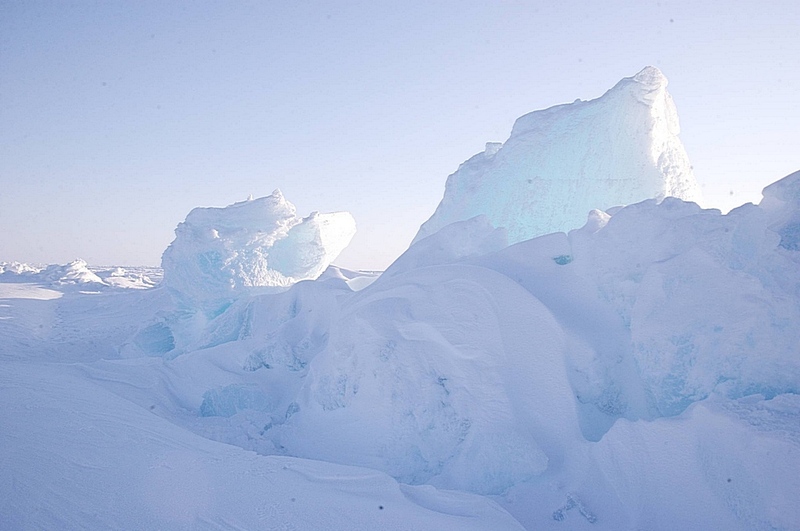 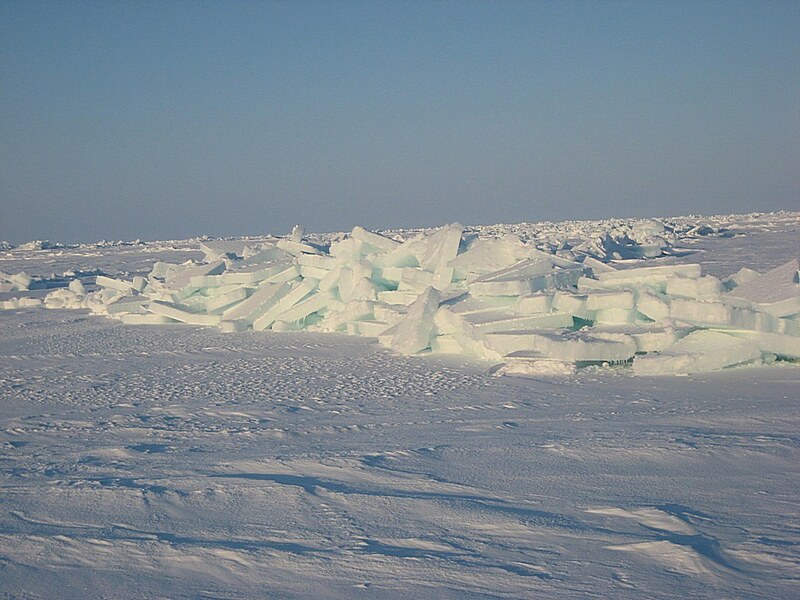 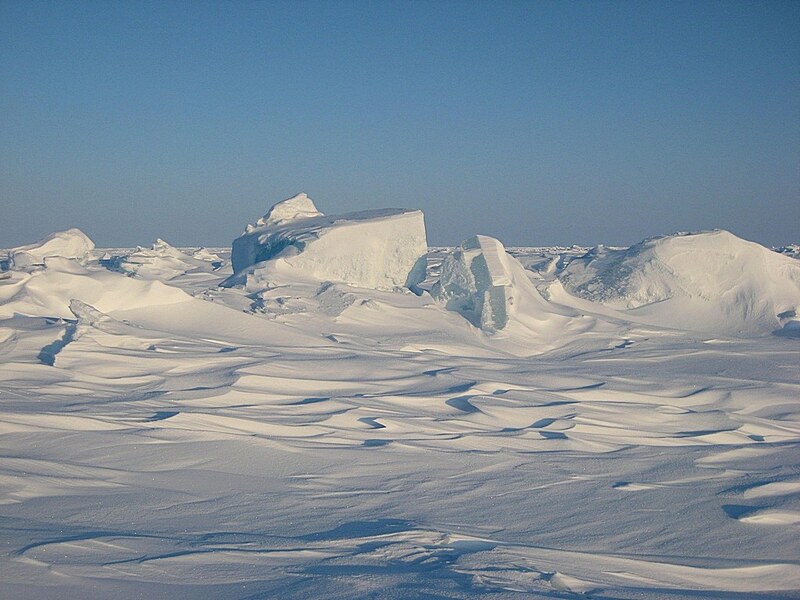 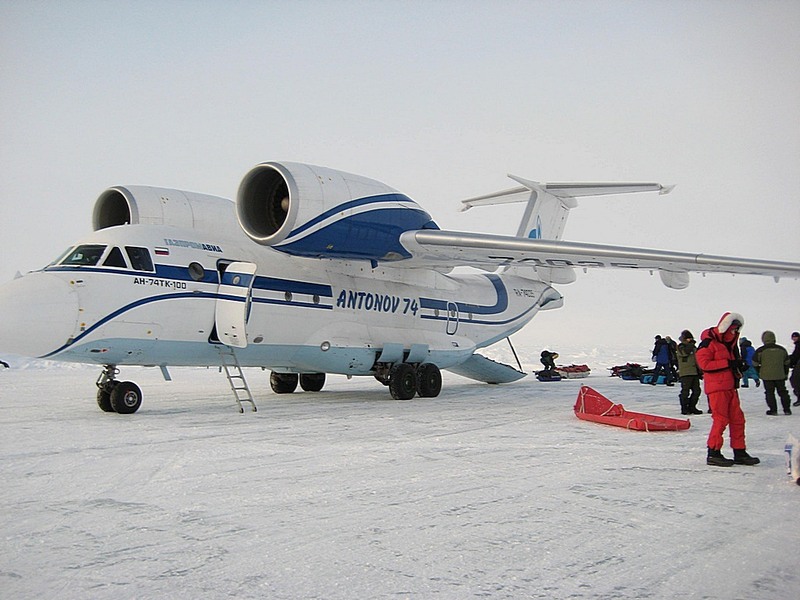 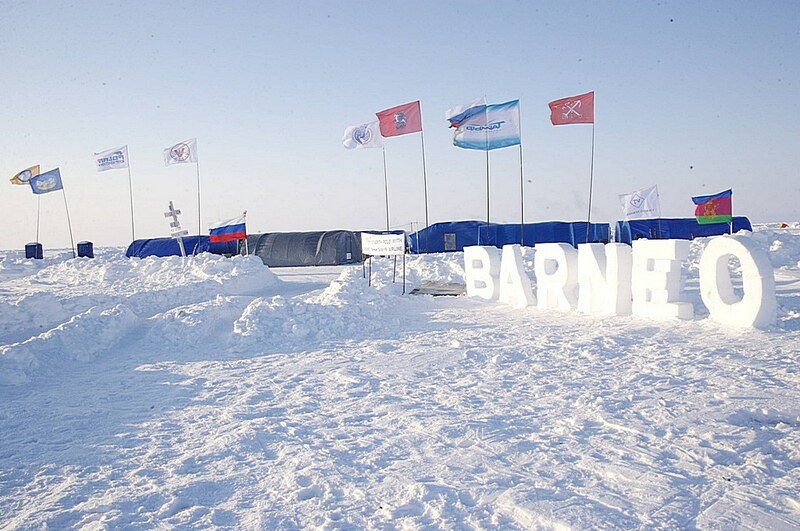 Barneo is a temporary ice camp on the sea ice of the Arctic Ocean approximately 500 miles from the nearest land. 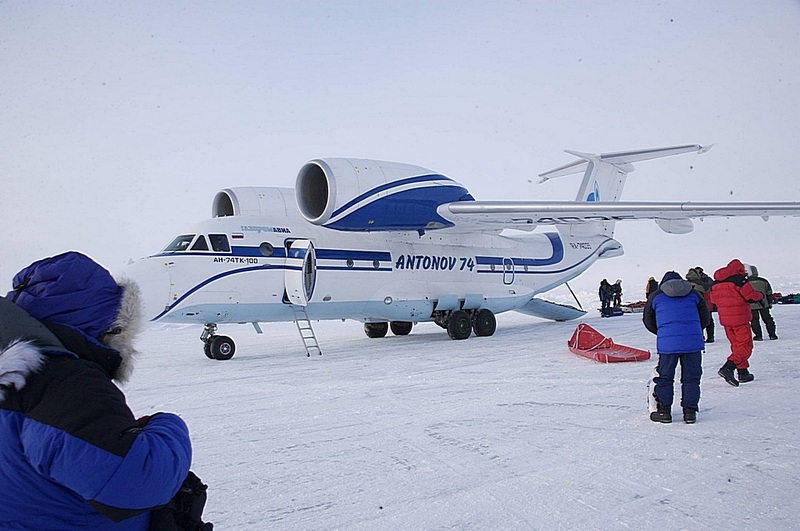 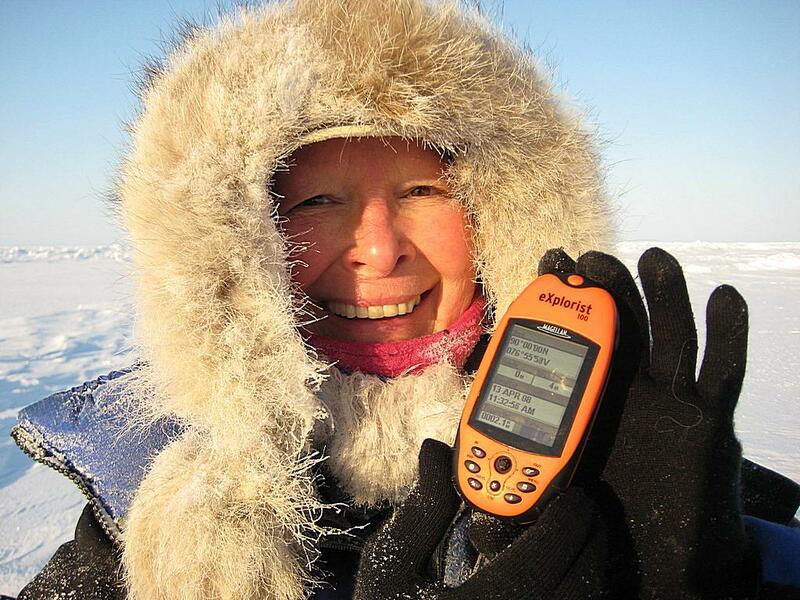 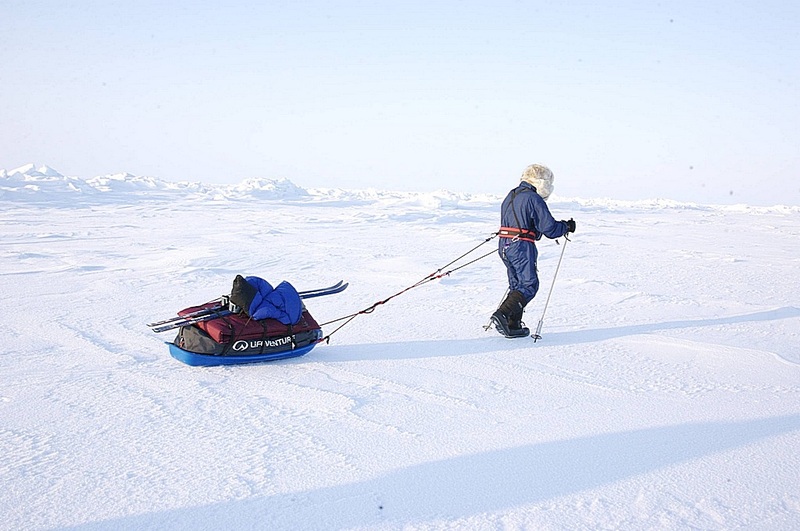 It is recreated every year for just 5 weeks and serves to support scientific and other expeditions to the North Pole. 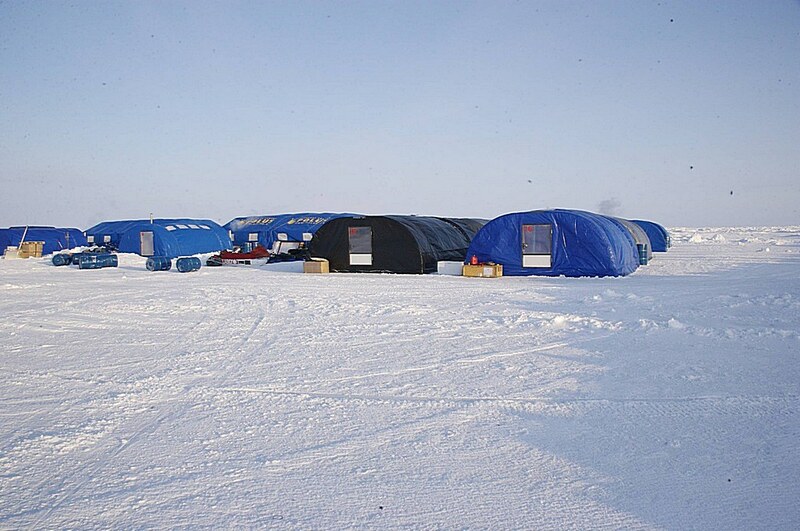 Built on a large ice floe, is at approximately 89 degrees North and includes an ice runway. 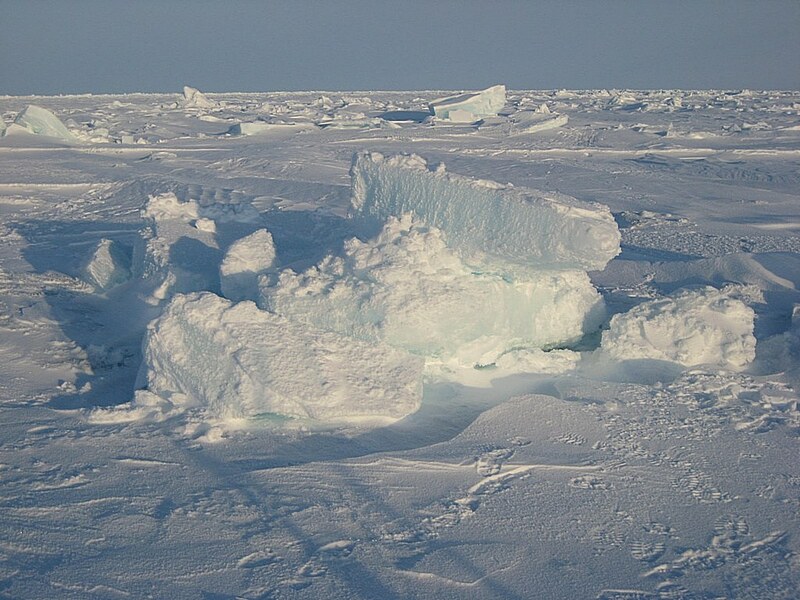 The ice here is about 1 metre thick under which is more than 4000 metres of ocean. 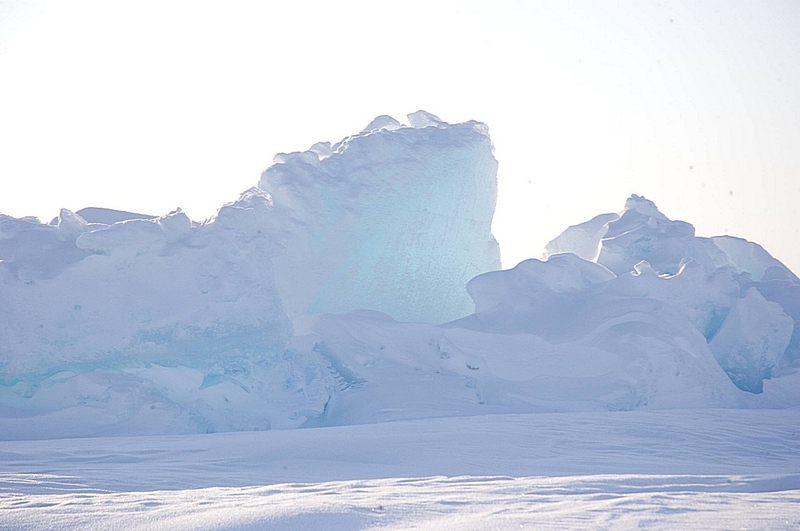 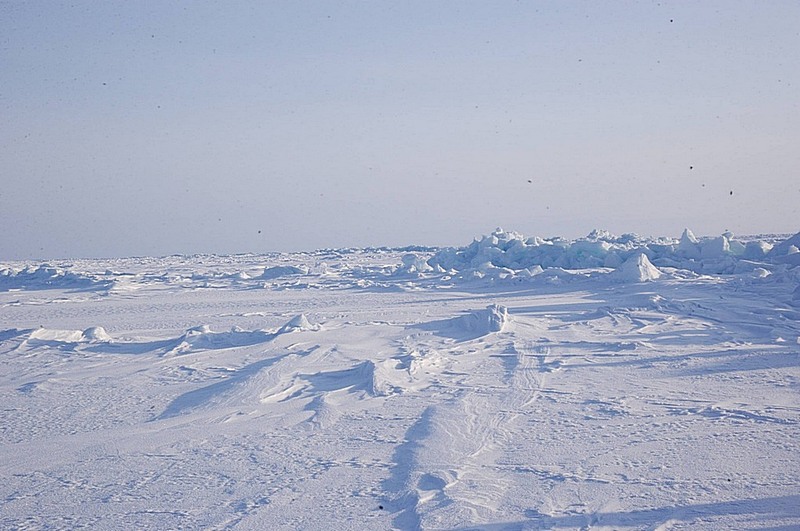 When we reached Barneo, we were informed that the floe covering the North Pole was drifting at the rate of 15 miles per day - in the wrong direction for us. 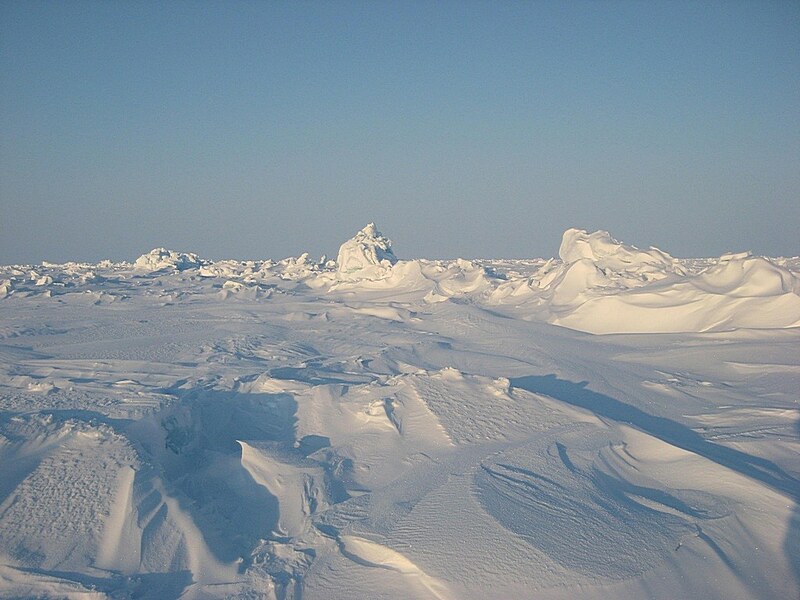 Had we started skiing North, we might never have arrived. 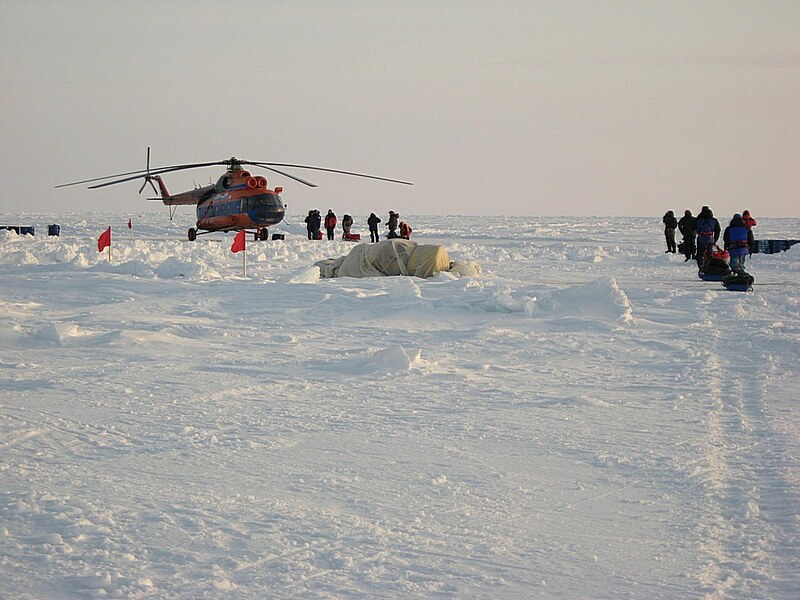 Fortunately the Russians took us by helicopter to a position which would offer a reasonable chance of success. 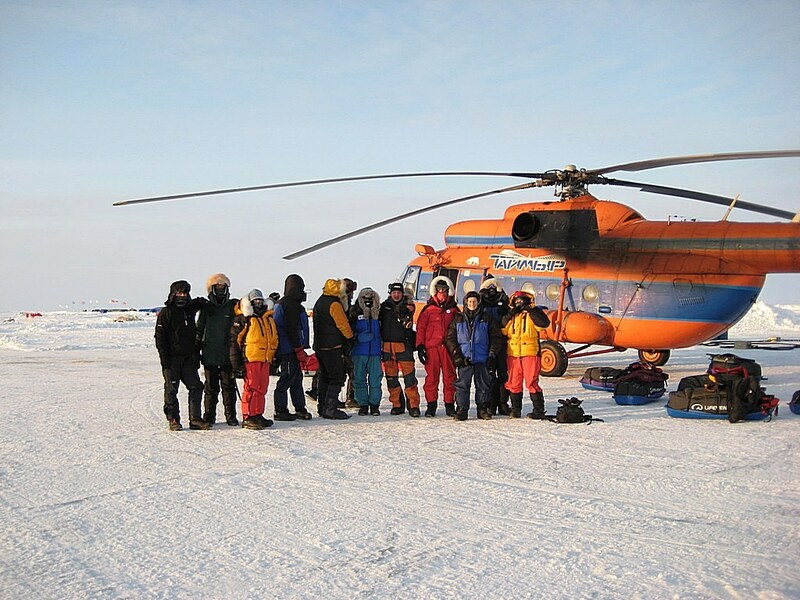 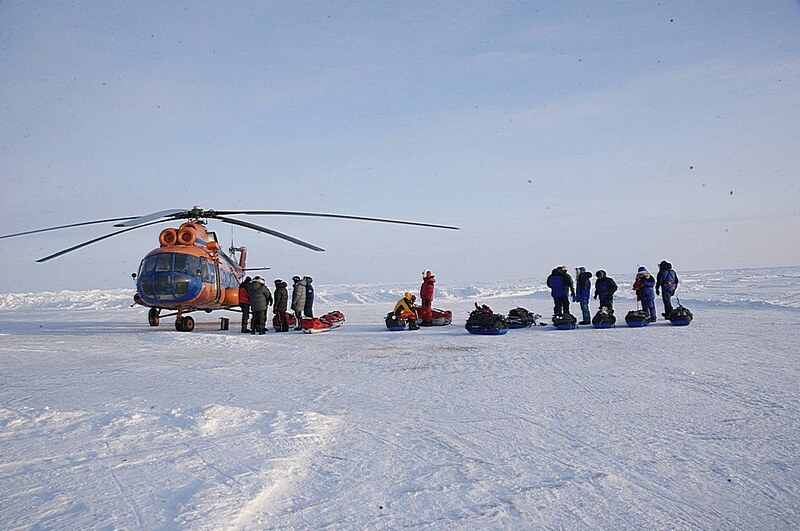 We were airlifted out and left to fend for ourselves on the frozen Arctic Ocean. 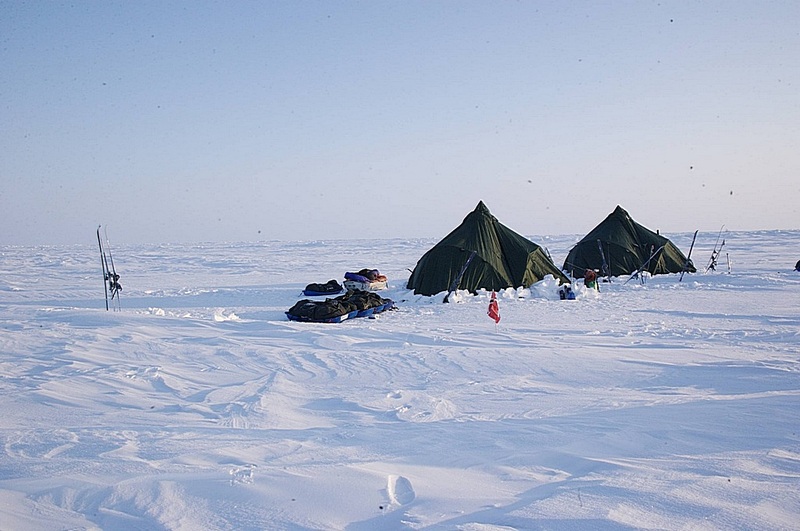 The temperature at this point was close to minus 30 degrees C.
We camped in two large tents which were secured with skis and ski poles as pegs and weighed down by snow on the valances. 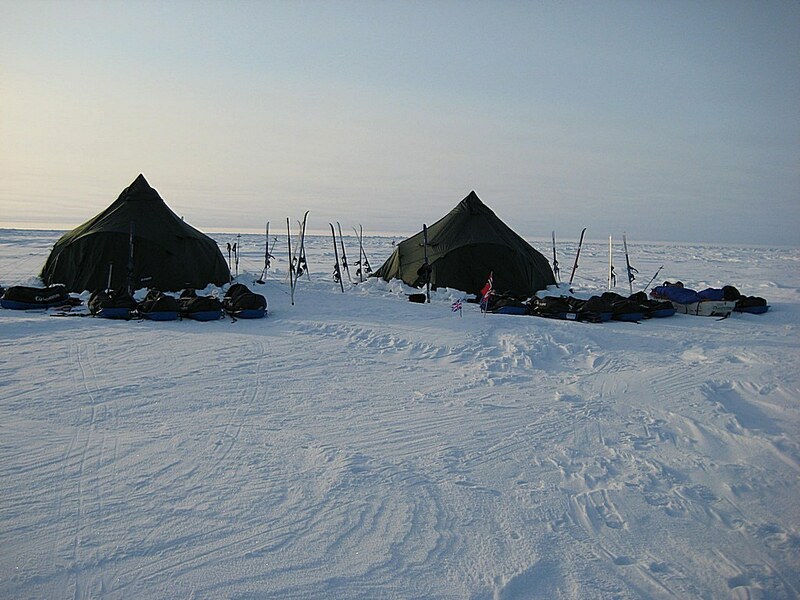 Cooking was done with two camping stoves in each tent which were used to bring snow blocks to the boil to provide hot drinks, soups and rehydrated expedition food. 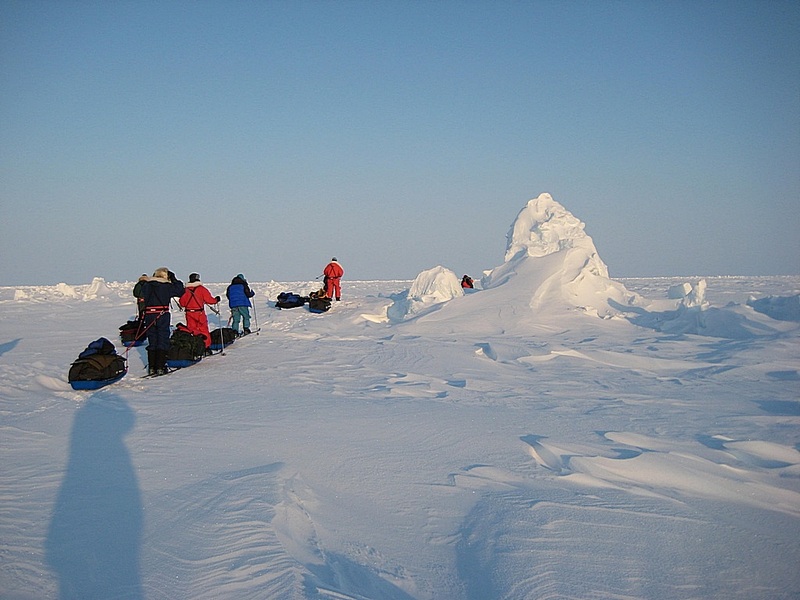 We slept in double thickness arctic sleeping bags. 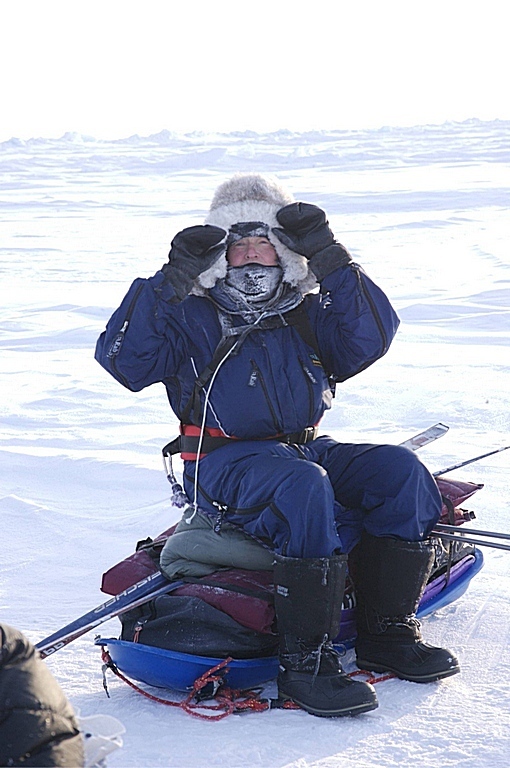 The toilet facilities are best left to the imagination. 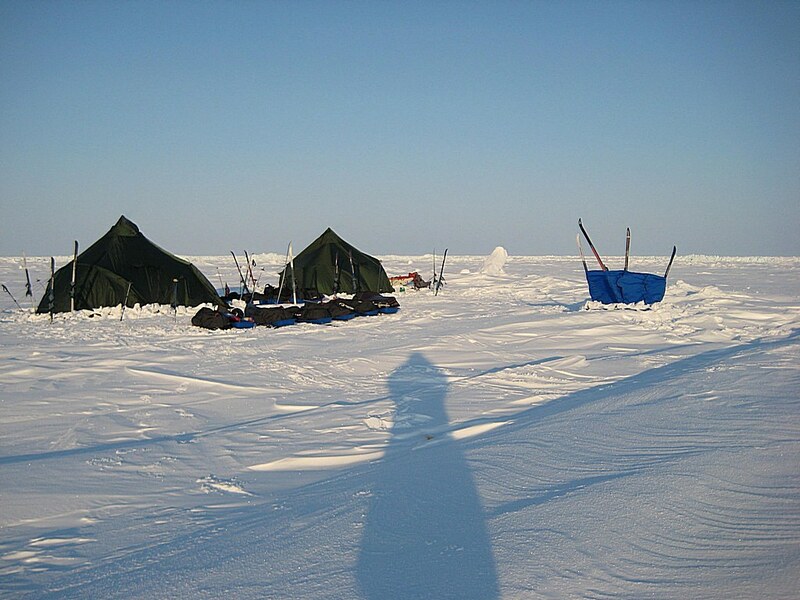 In the mornings, the insides of the tents were thickly covered with frost which had to be brushed away before the stoves were lit. 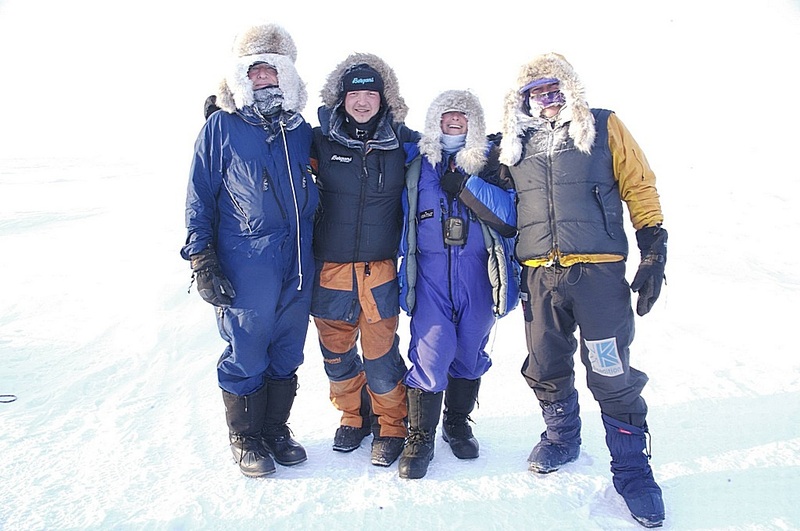 We all took turns in cooking duties. 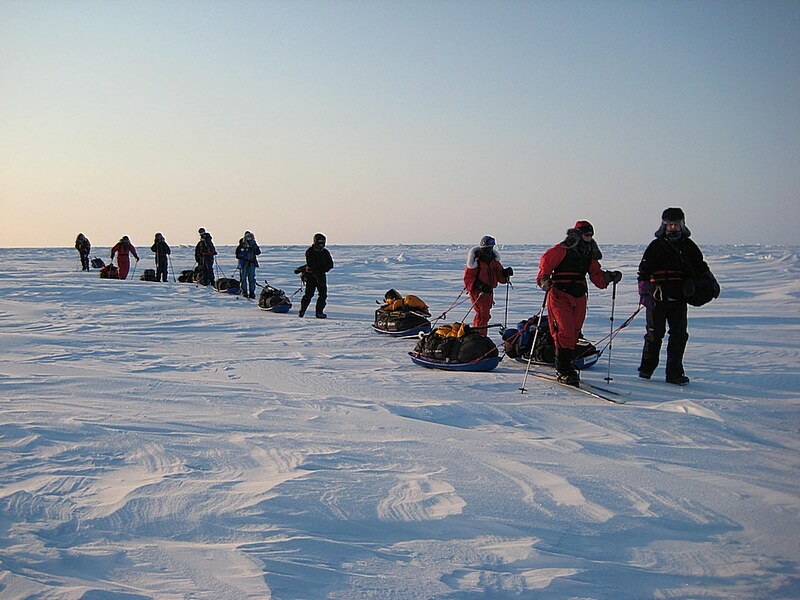 After waking in the mornings it took about 2 hours to cook breakfast, fill the thermos flasks, pack our sleds and strike camp. 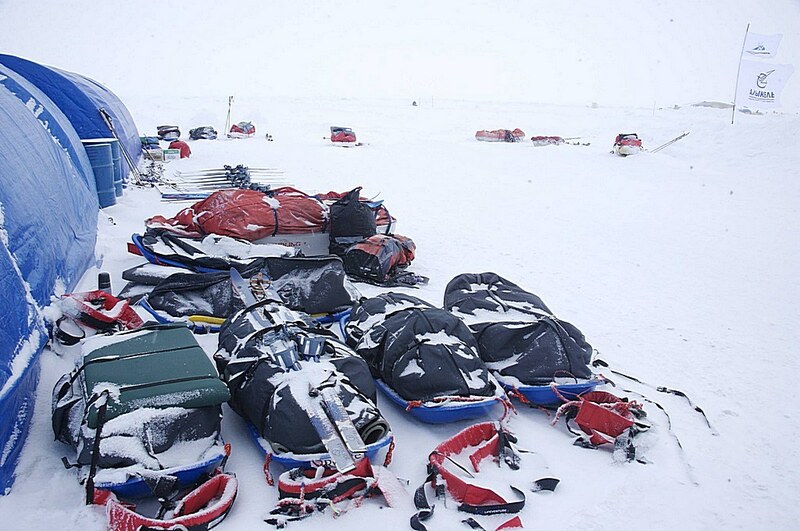 The sleds weighed about 80 lbs and we were each harnessed to a sled which we hauled over the sea ice. 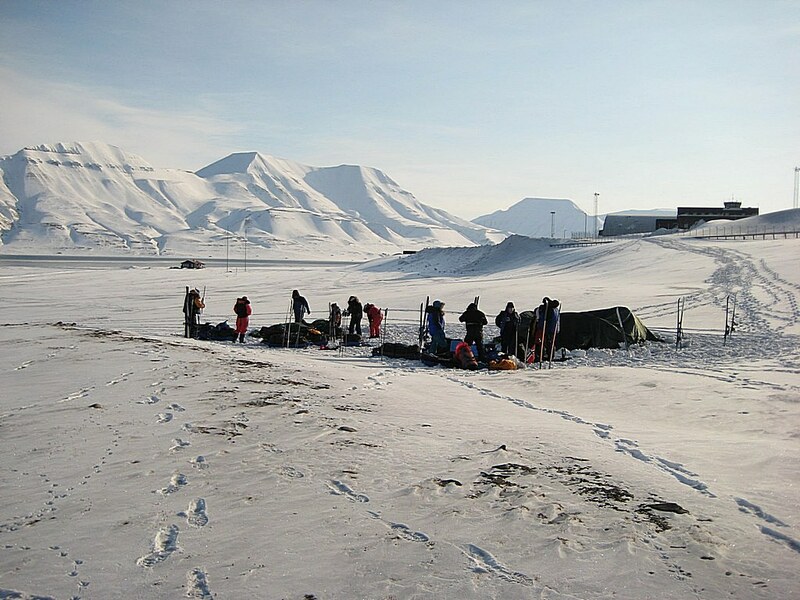 The weather conditions for our trek were good with mostly blue skies and light winds although the temperatures were colder than expected. 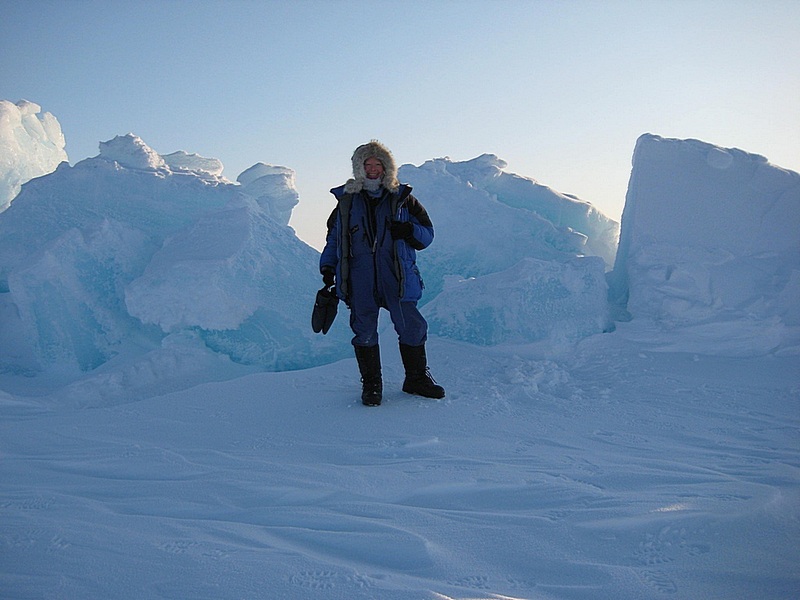 Excluding wind chill, we encountered a low of -38 degrees C (falling to -60 with wind chill factor applied). 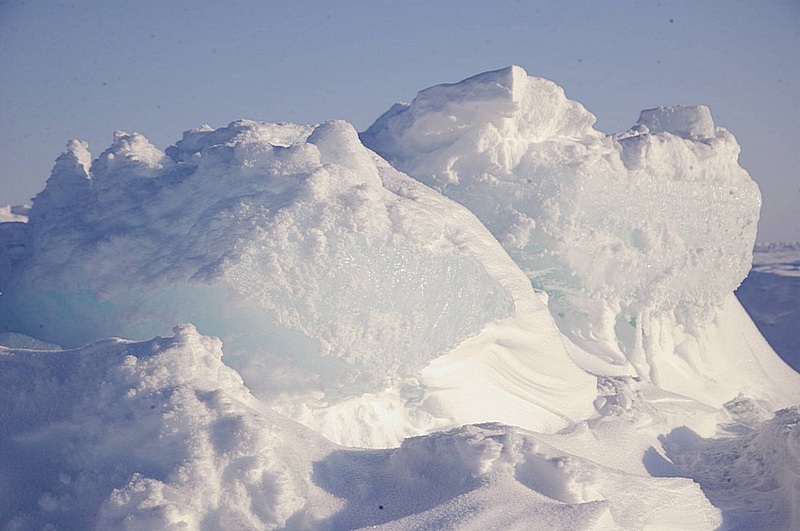 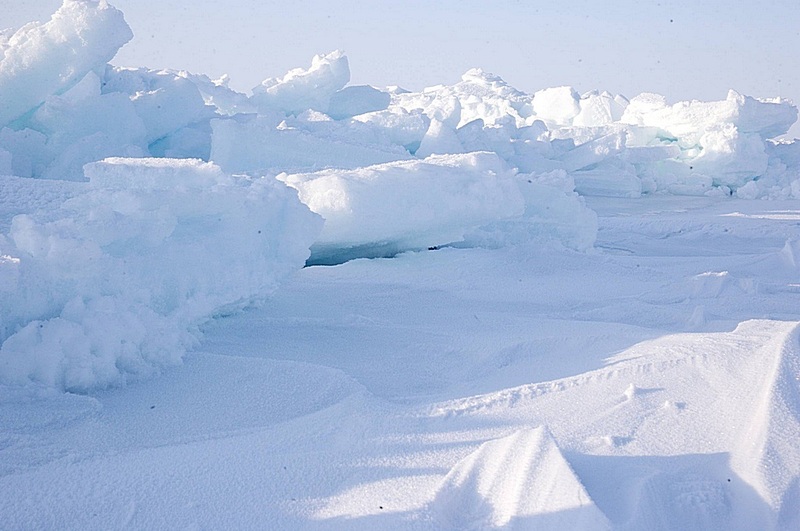 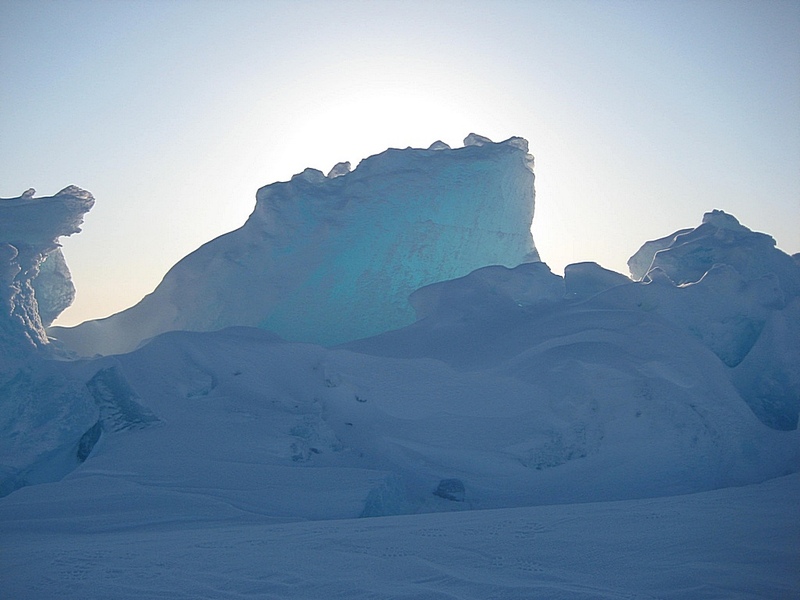 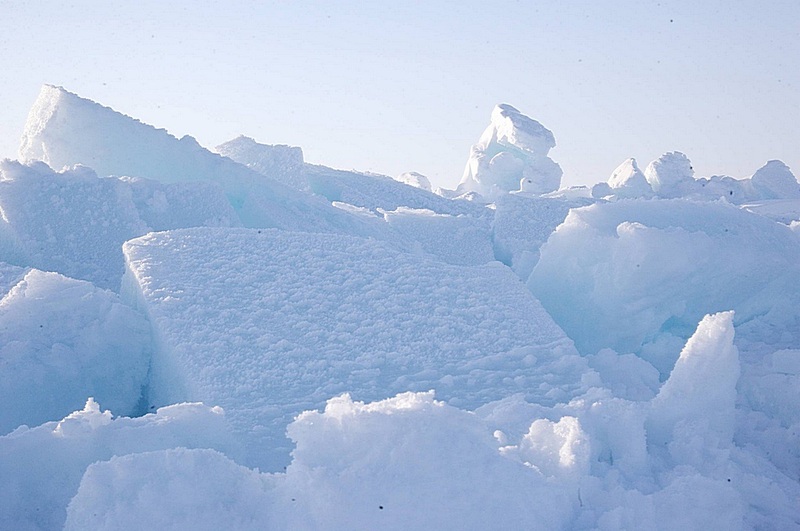 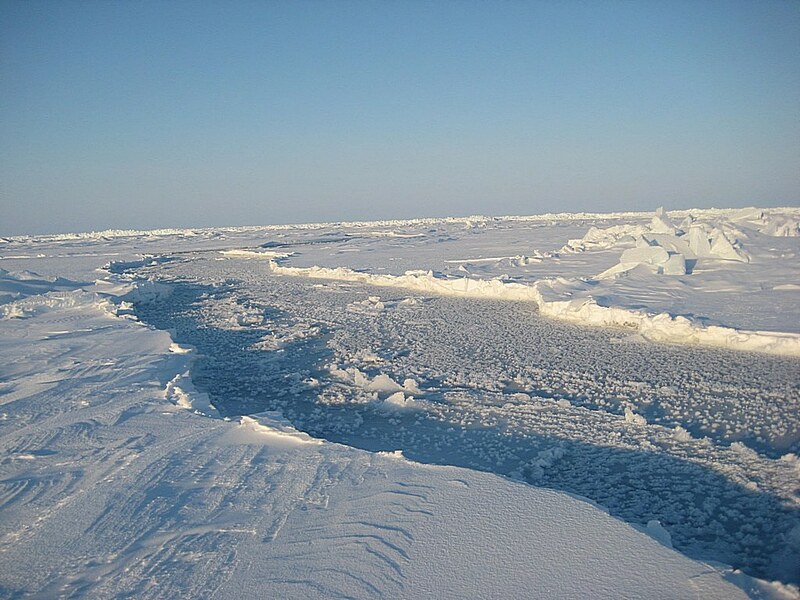 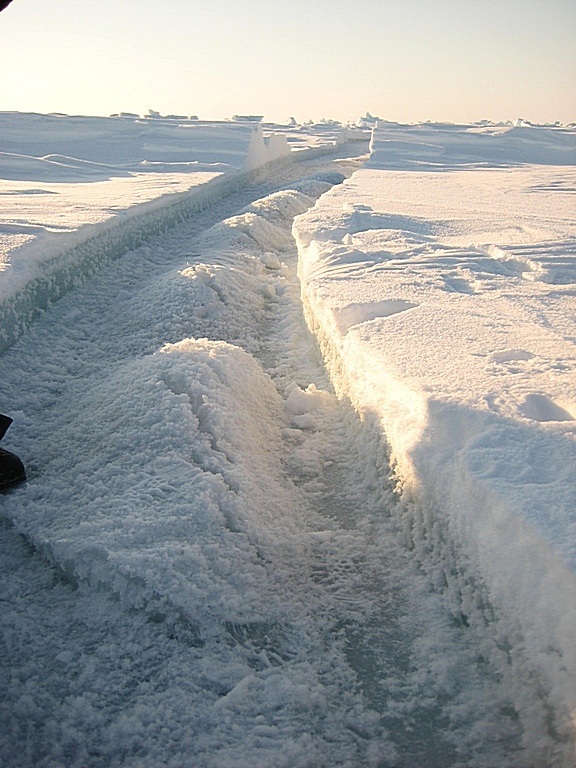 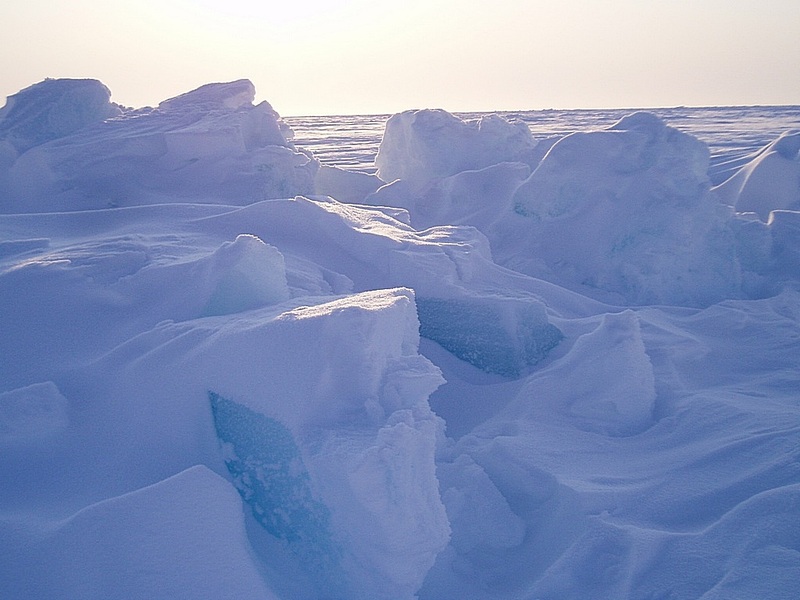 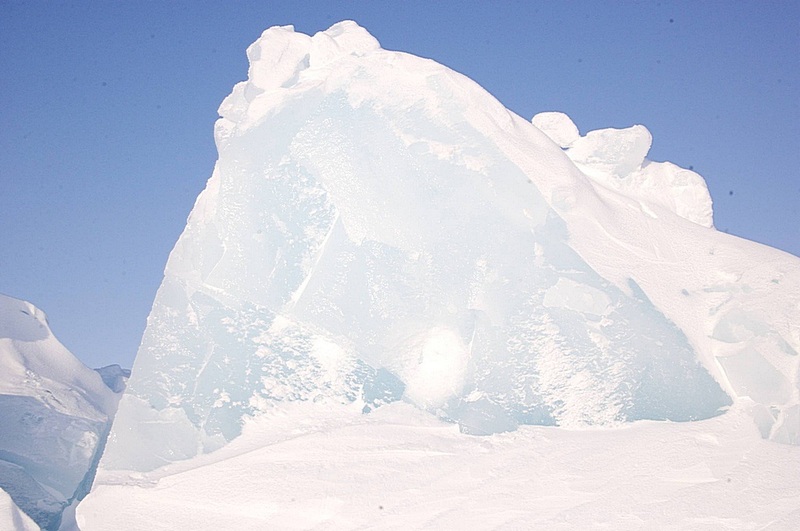 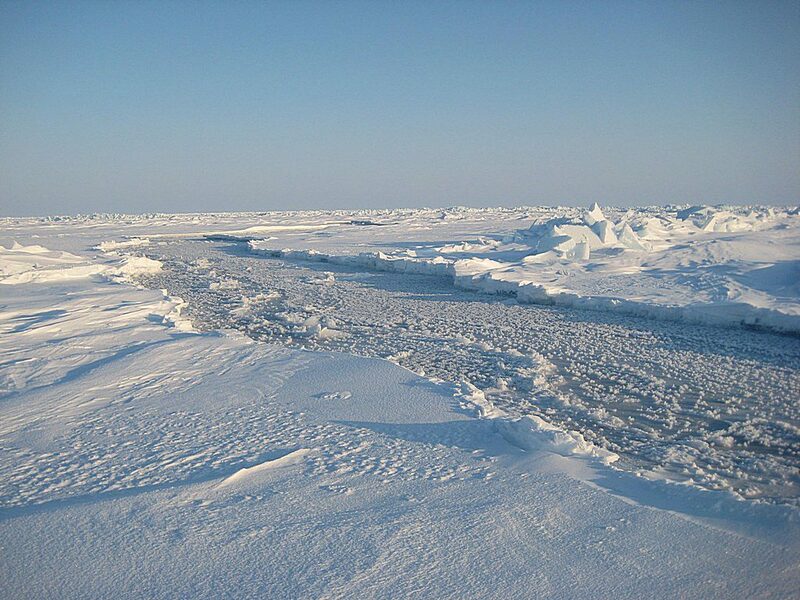 Whilst crossing an ice floe, the surface was friendly with 1 metre thick ice covered by a layer of compacted snow between 12 inches and 4 feet in depth. 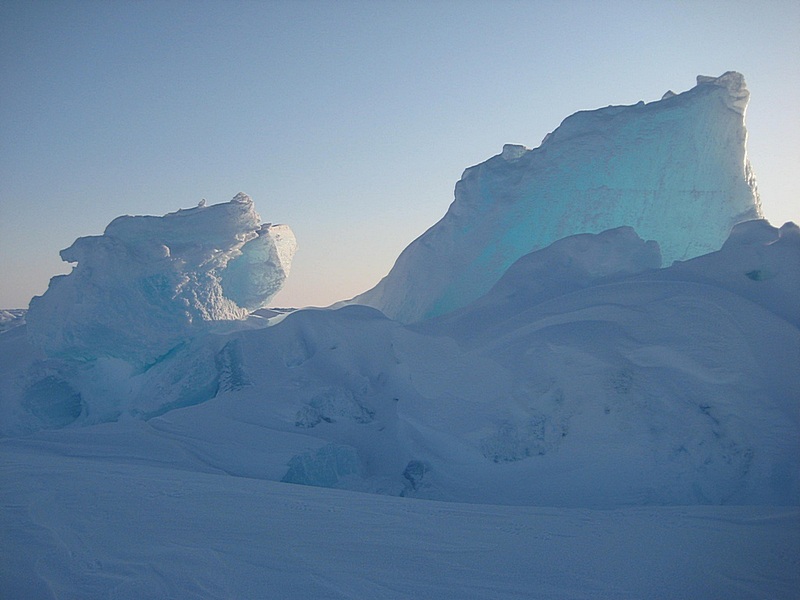 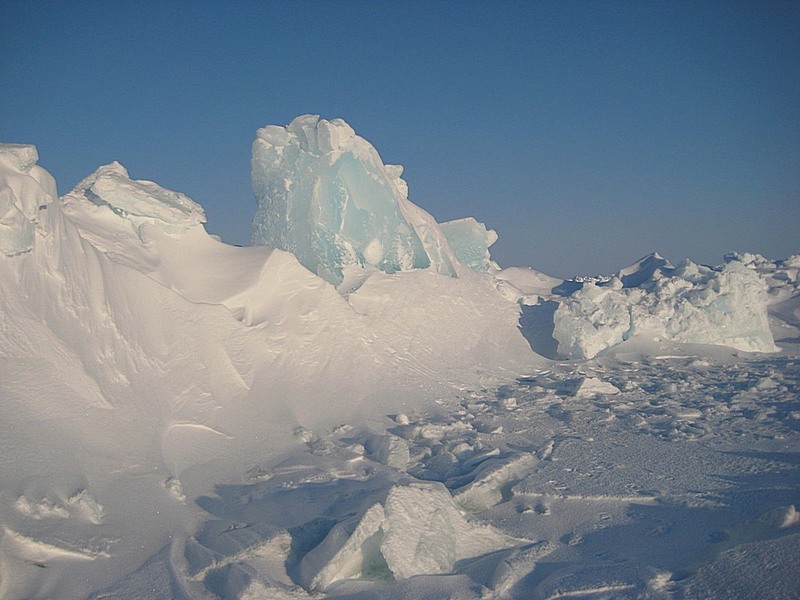 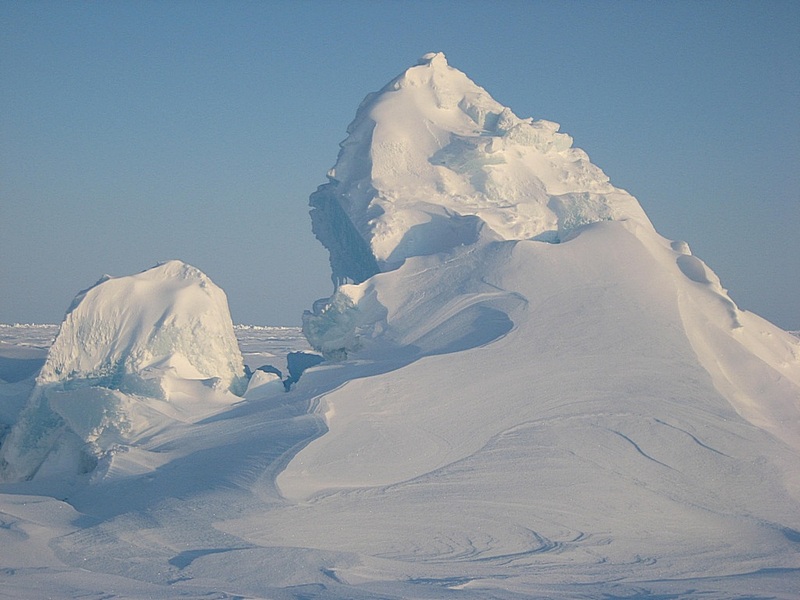 Between floes were pressure ridges - mounds of ice rubble produced by two floes colliding, and these had to be manoeuvred carefully. 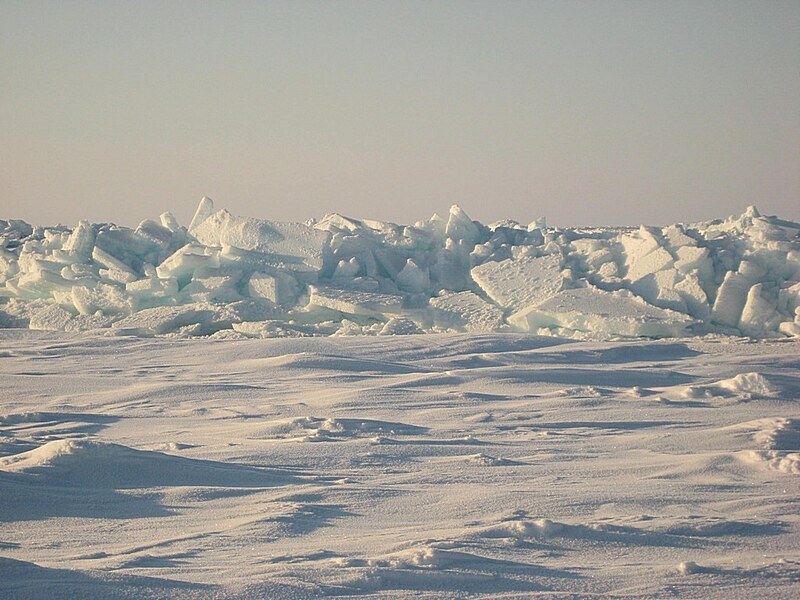 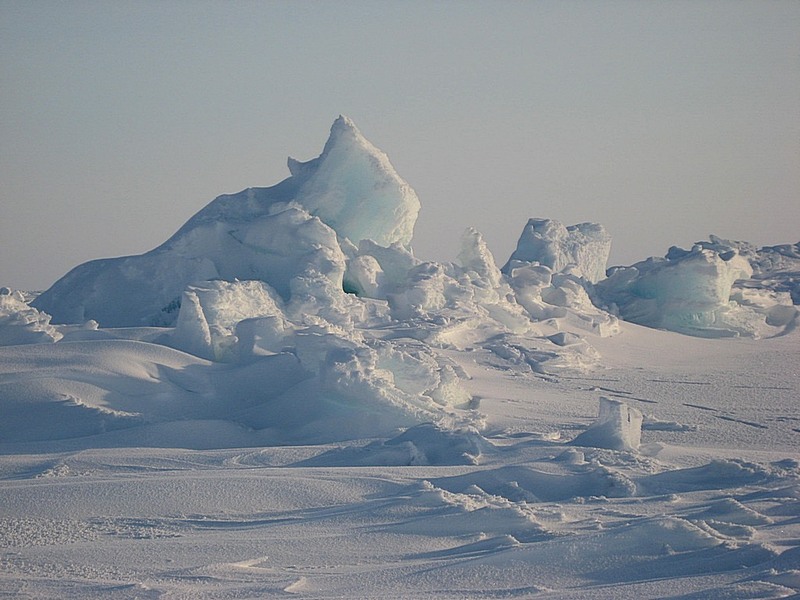 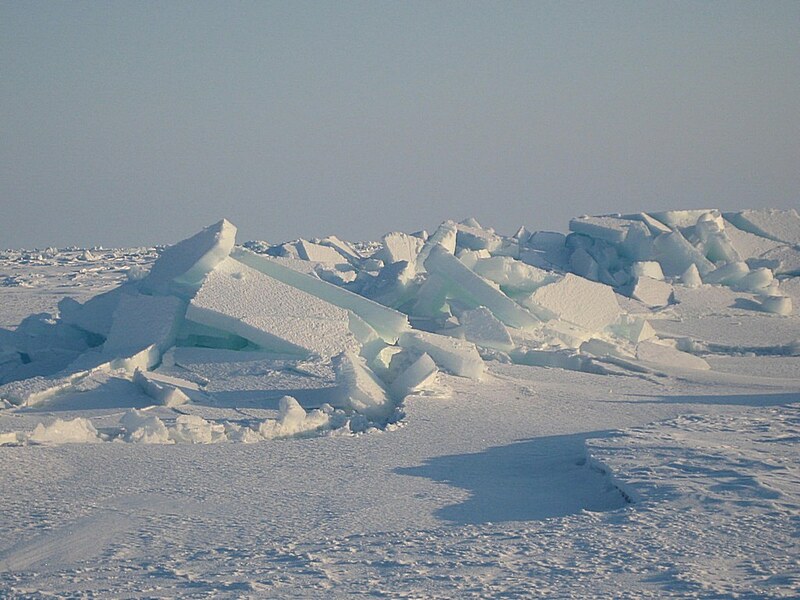 We also encountered leads of open water between the floes although generally these had frozen over sufficiently over the preceding 10-12 hours to allow us to cross safely. 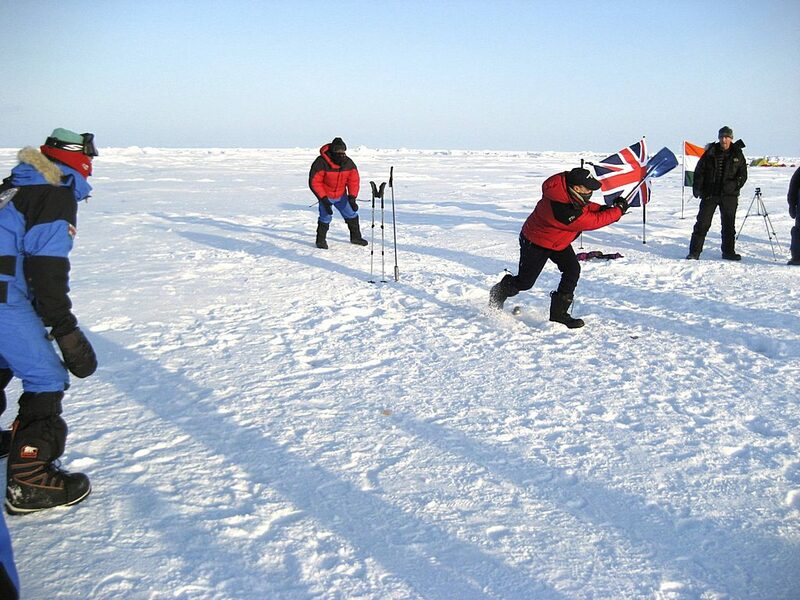 Navigation is difficult as compasses are of no use and using the position of the sun as a guide is very difficult because the longitude lines were so close together that we could never really know our time zone. 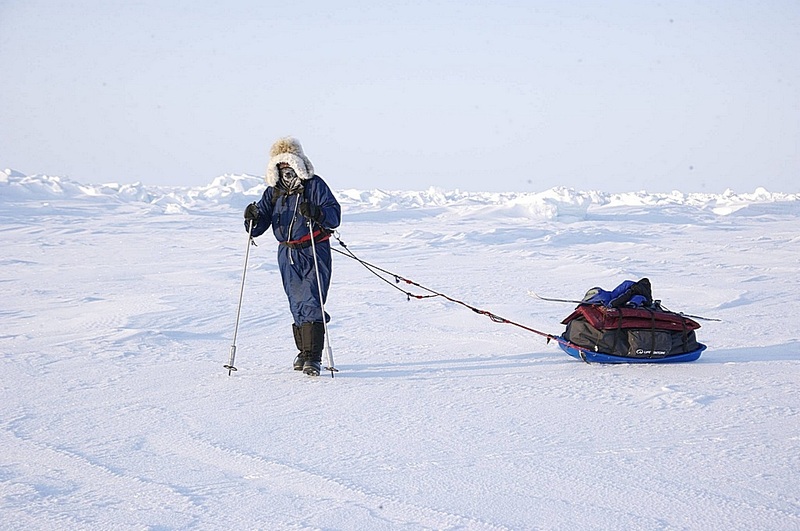 Fortunately, our modern GPS navigation devices allowed us an unerring route to the pole. 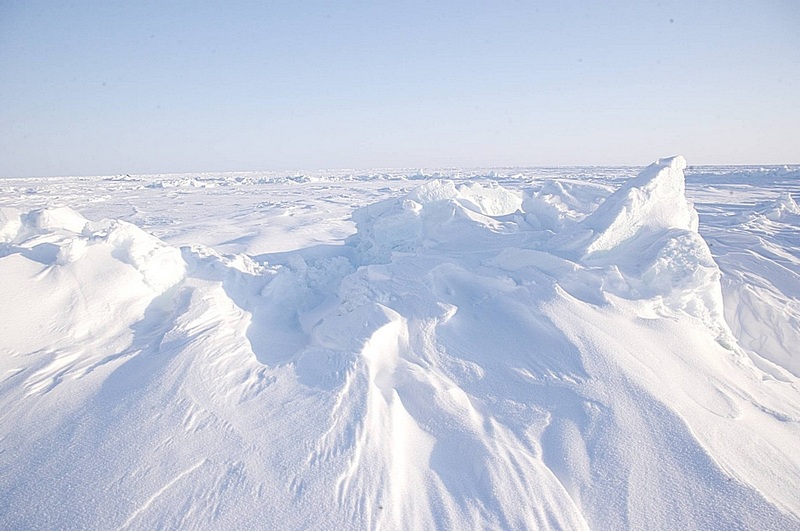 Naturally, so far North, we had 24 hours of sunlight. 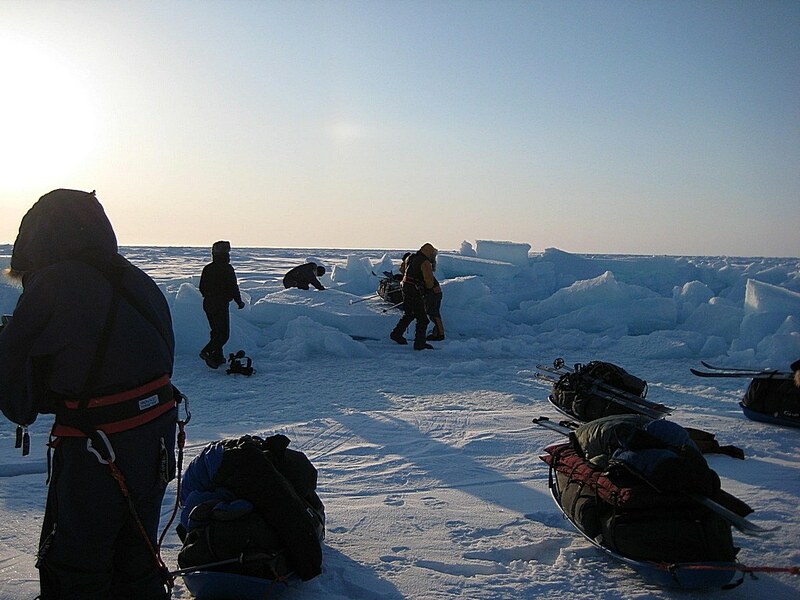 The sun, low in the sky at this time of year, remained at the same level as it circled 360 degrees around us. 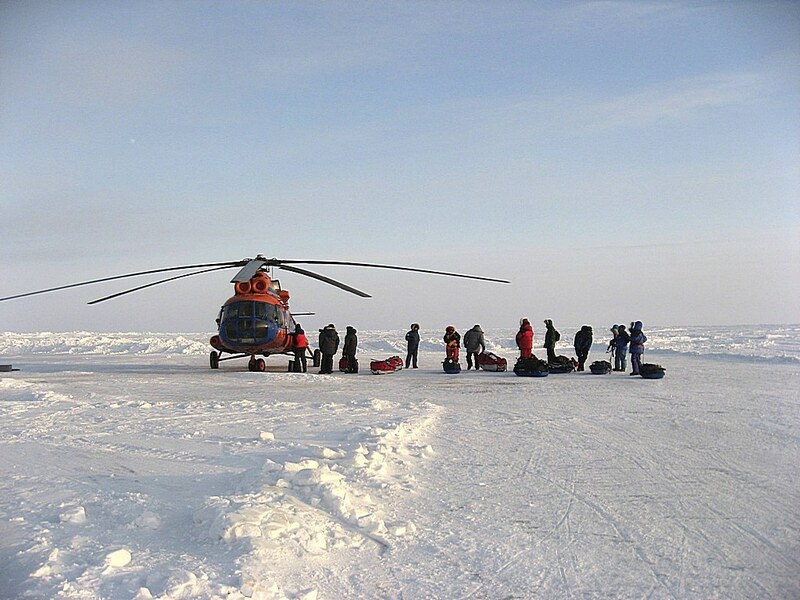 Good weather and a much reduced drift means that we made excellent time in reaching the Pole - but we had to await our helicopter rendezvous to be returned to Barneo. 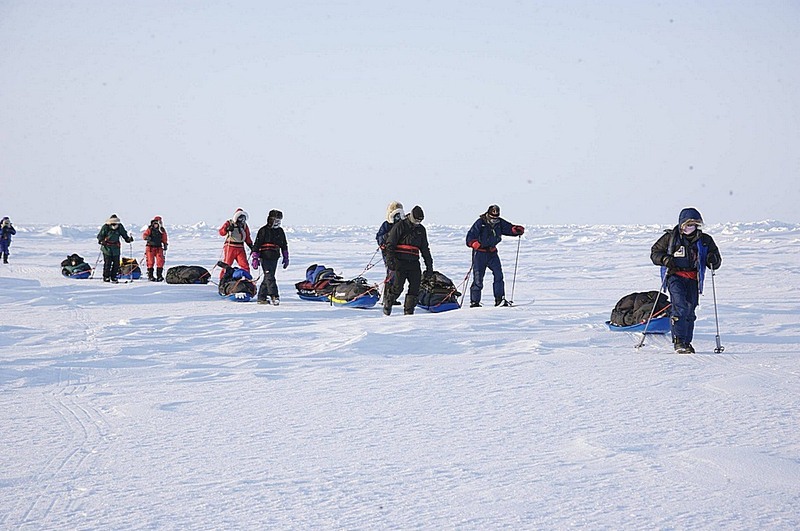 This was harder than it seemed as each 24 hours we were drifting 5-6 miles away and would have to ski 'back' to the pole. 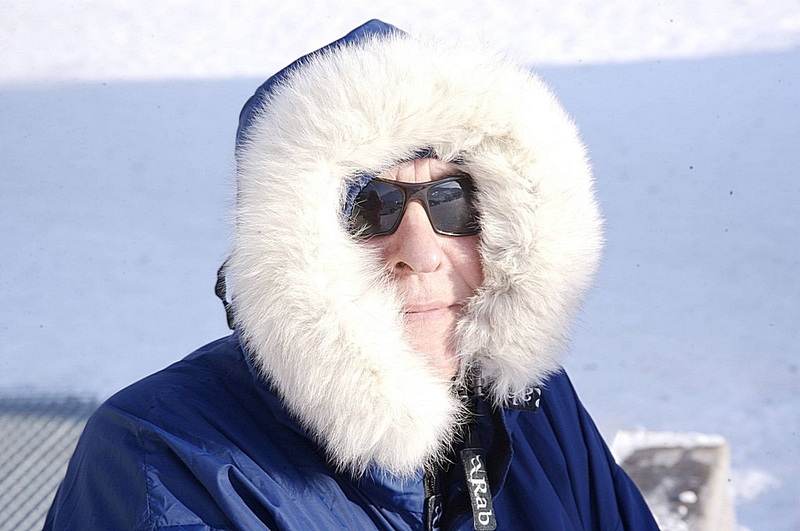 These photographs were largely taken by Babs Powell and Lynne Tracey and I am indebted to them for permitting their use here. 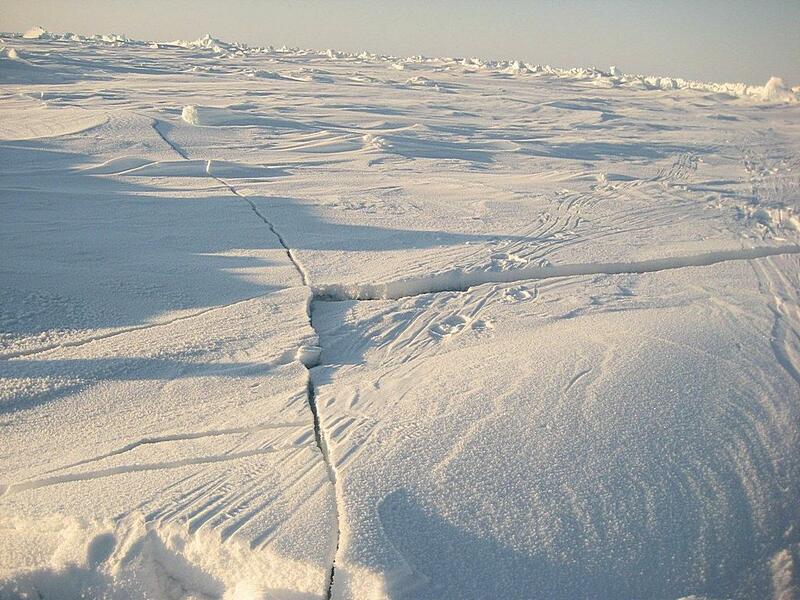 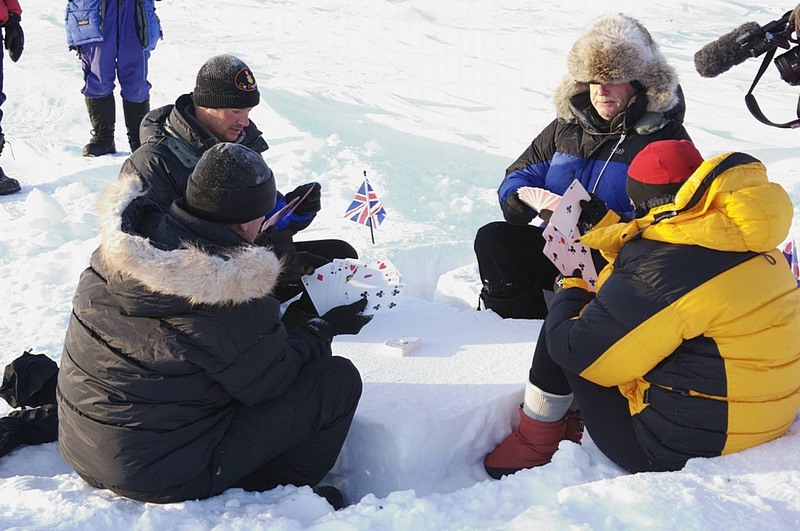 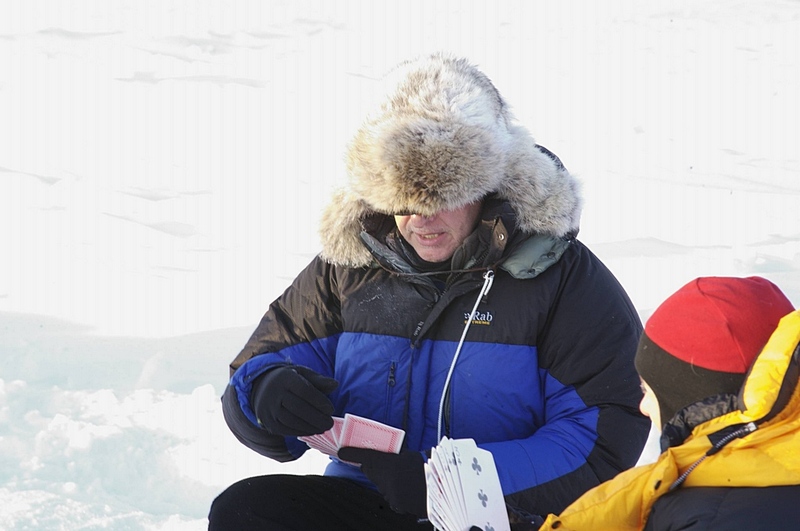 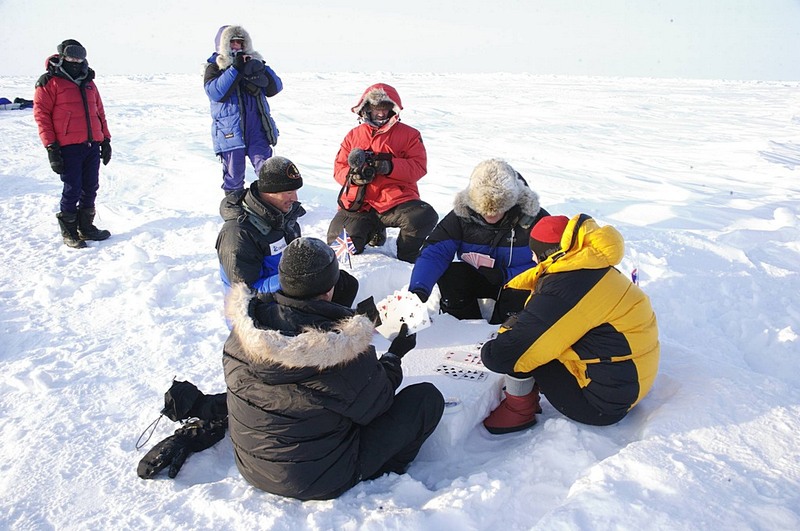 At the Pole itself, I was able to play my planned game of bridge on a table carved out of the sea ice. 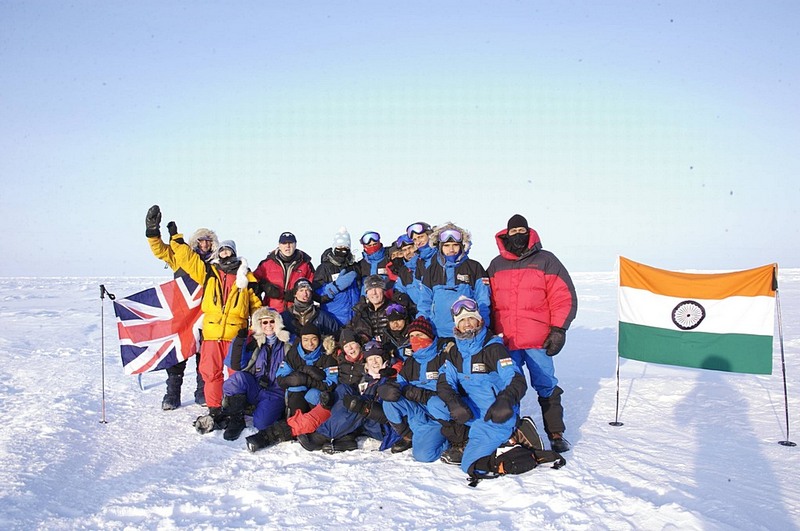 We also met another team of 12 explorers from the Indian Navy. 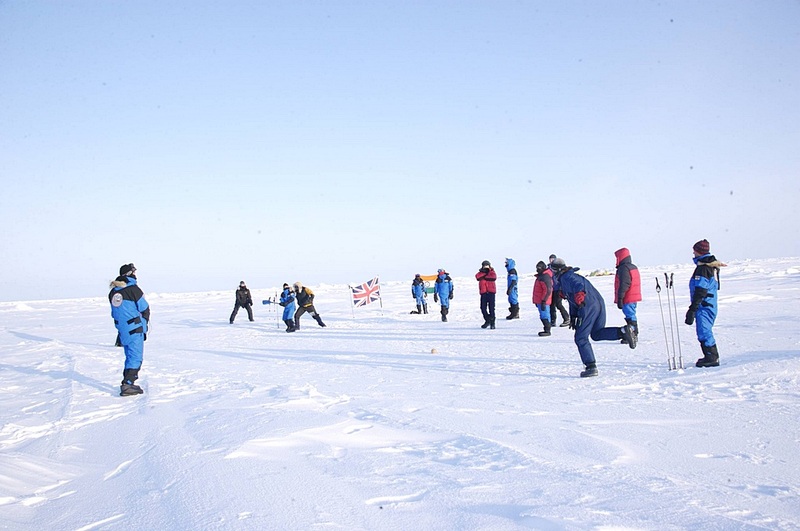 The opportunity was too good to miss so we challenged them to a game of cricket. 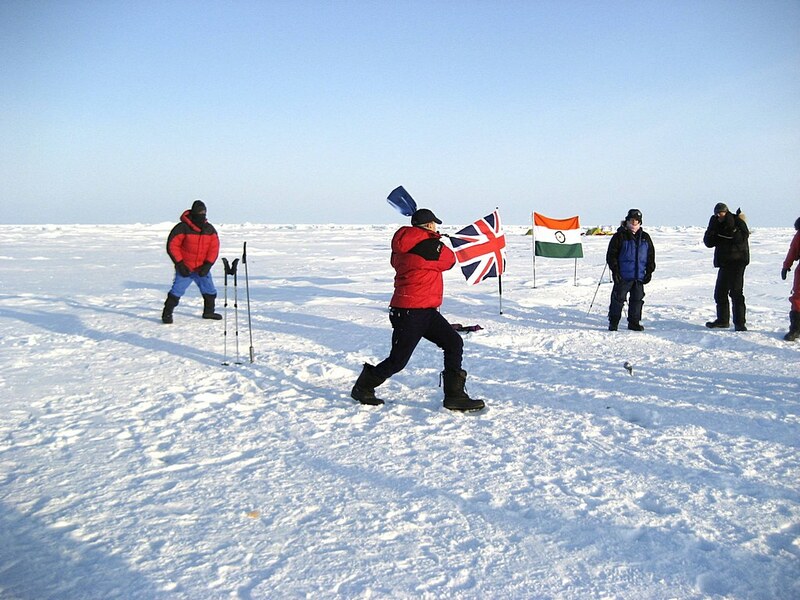 The game took place with 2 full sides; we used ski poles for stumps, a snow shovel as a bat, and some taped up bungee cord as a ball. 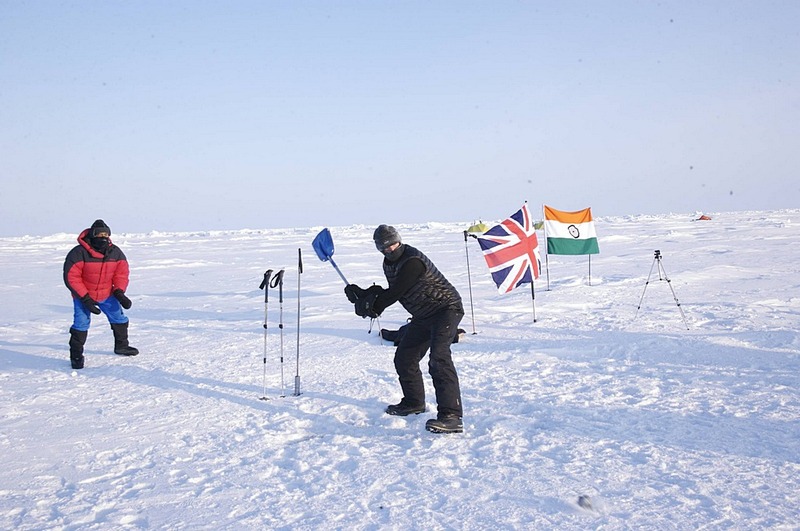 After playing 4 overs each side, India was declared the winner of this Arctic Test Match. 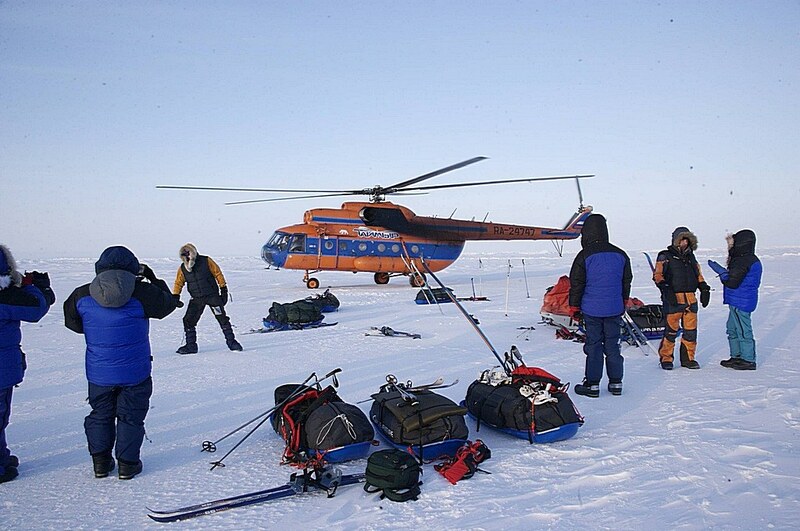 We were collected on schedule by the Barneo helicopter crew who brought us champagne and other suitable refreshments. 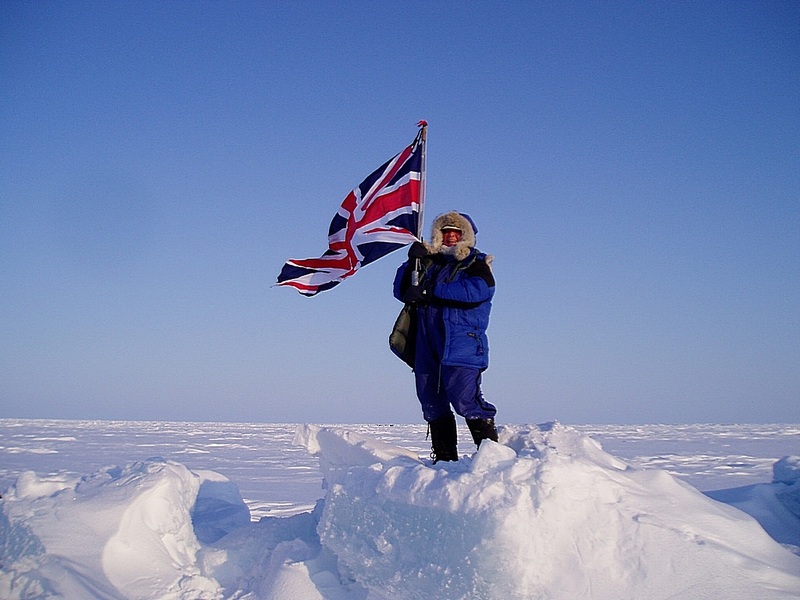 This trip completed for me personally a double as in January 2006 I had travelled to the South Pole.